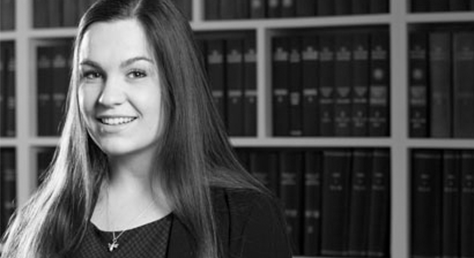 Felicity Jones, trainee solicitor in the family team, identifies this interesting scenario where ‘property rich but cash poor’ parents are able to take advantage of inadequate provision by Parliament. In this case, the parents had been involved in litigation since around 2003 under Schedule 1 of the Children Act 1989. Schedule 1 allows the resident parent to apply for financial support from the non-resident parent for the benefit of the child (not the benefit of the parent). It is also important to remember that the Family Court has a separate role to the Child Maintenance Service (CMS), and the Court cannot take over the role of the CMS. In this case, in 2005, the father had been ordered to settle £220,000 on the child, to provide the child with a property and a sum for moving costs. This was not implemented until 2012. In 2013, the mother sought a further £20,600 for a car, to pay the child’s school trips and for other purchases for the child. The mother also claimed periodical payments from the father on the basis that the maximum assessment had been made by the CMS. In relation to the maintenance payments, the CMS Tribunal had calculated arrears of over £40,000.00. The Schedule 1 application was delayed for various reasons but was eventually heard by Mr Justice Mostyn in May 2017. Mostyn J calculated the father to have significant assets of around £5.2m. Mostyn J ordered the father to pay the capital sum sought, but dismissed the claim for periodical payments. He found that he could not make an order for periodical payments as there was no maximum assessment by the CMS and no prospect of one being made. Therefore, the Court did not have jurisdiction to make such an order. However, the five capital items sought could be identified as singular items and therefore it was justified. The way in which Child Maintenance is calculated has changed a number of times over the past few years, with the most recent variation not taking into account parents who may have little “income” but significant assets, as in this case. This case had been transferred to this “third regime” in October 2015 and as a result of his only income being his state pension, the CMS calculated that he should pay £7 a week, which was not an accurate reflection of his wealth. The Judge was critical of the father’s lack of support of his child, given his relative wealth: however, he was unable to circumvent the CMS by making an award which would have been ordinarily met by periodical payments. He could only award a genuine lump sum, which he did. Mostyn J urged the government to consider amending the current regulations to take into account circumstances such as these. However, with the current political climate, it seems unlikely that any such changes will take place in the near future. If you have a similar case, or need assistance with any family law matter, please contact Felicity on f.jones@wilsonllp.co.uk or for an appointment, Mavis on 020 8885 7986.